Insio Nx by Signia Siemens is a Custom hearing aid. It is available in CIC (Completely in the Canal) and IIC (Invisible in the Canal) styles. Nx technology is 60% faster than Primax and provides greater clarity. The Nx 3-D Classifier analyzes multidimensional data from the wearer's environment and tailors the hearing aid's response. Sound Clarity provides lifelike sound which covers a full sound spectrum and includes extended dynamic range and extended bandwidth. 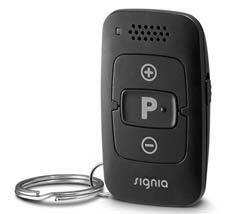 Signia Insio Nx also benefits from Echo Shield, HD Music and eWindscreen. Ultra HD e2e allows the full bandwidth of sound to be transferred from one ear to the other. 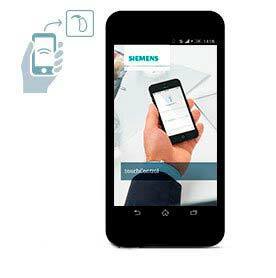 Siemens Insio Nx is compatible with the CROS Silk Nx. The CIC CROS capability is a world's first. Nx Technology is the next step forward from Primax. Signia Siemens Nx provides the most natural best speech understanding in noise. Speech Quality is further improved providing the best understanding of speech in noise using Ultra HD e2e, Binaural OneMic directionality. Nx TwinPhone provides binaural hearing, hearing with both ears while on the phone, improving speech understanding. Signia Siemens Nx like Primax before it, has been clinically tested and delivers better than normal hearing in complex sound environments. TeleCare allows the user to be anywhere and we can make real time adjustments and changes to the Insio Nx. No more requirement for office visits. TeleCare now includes video for an additional level of assistance. Signia TeleCare has simplified remote patient hearing care. TeleCare provides for a quicker response and for greater flexibility, TeleCare is another advantage of Signia Siemens Nx technology. Warranty Signia Siemens Insio Nx includes a 3 year warranty with 7 Nx, 5 Nx and 3 Nx. Warranties include loss and damage coverage. There is no extra cost for the full warranty. Prices for Pure Charge and Go Nx are listed on this page below. Professional services and support for the life of the hearing aids are included in our prices. We also have a SPECIAL OFFERS page. Whether you search for Signia Pure Charge and Go Nx price or Siemens Charge and Go Nx price the result should be the same because they are a co-brand (Signia Siemens). Nx is the world's most advanced hearing aid platform. The industry-leading Ultra HD e2e binaural link provides continuous full bandwidth audio exchange and enables dynamic scanning and processing of the wearer's environment. Nx technology utilizes a new processing chip. The new chip is 40% smaller than the industry standard and includes 75 million transistors, this is 3 1/2 times more than the Primax platform. The chip processes at 500 million instructions per second which is 60% faster than Primax. This new chip allows for greater dynamic range and a larger frequency range in normal processing. With the App the user can control volume, SoundBalance, change programs and more. The App also monitors the wearer's environment and using the cell phone's motion sensors provides the best possible hearing when on the move. Speech Master provides the user with the highest possible performance noise reduction, directionality and amplification. It's ultra high resolution eight microphone system with narrow directionality allows wearers to hear better than normal hearing in difficult listening environments. HD Music has been specifically created to deliver outstanding music quality and fidelity. The HD Music program delivers a superb listing experience with a fuller richer sound and outstanding music realism. Echo Shield recognizes reverberation and softens it so the wearer can hear clearly. Normally hearing aids amplify not only the direct speech, but also the echoes bouncing off the walls and ceiling. These reflected signals reduce the overall sound quality. Echo Shield softens the reflected sound and provides for a better sound quality with reduced listening effort. Twin Phone recognizes that you're using the phone and wirelessly transmits the phone call to both ears, thus reducing effort and improving listening quality. Sound in both ears is used to localize sound sources, maintain spatial orientation, and understand speech better. This is especially helpful in noisy and challenging listening situations. By using the advantages of hearing with two ears, or binaural hearing, Signia Siemens Motion 13 Nx brings you cutting-edge technology to deliver the most natural listening experience possible. myHearing App Turn your smartphone into a discreet remote control for Signia Siemens Insio Nx hearing aids – and enjoy a high level of handling comfort right at your fingertips without any intermediary device. Adapt to changing listening situations by using the myHearing App to make easy and discreet program and volume changes and adjustments. Use SoundBalance to effortlessly change the bass and treble of your environment according to your listening preference. Easy to use and easy to get just simply download the myHearing App at the Apple App store or the Google play store. The best part is that the App is free!